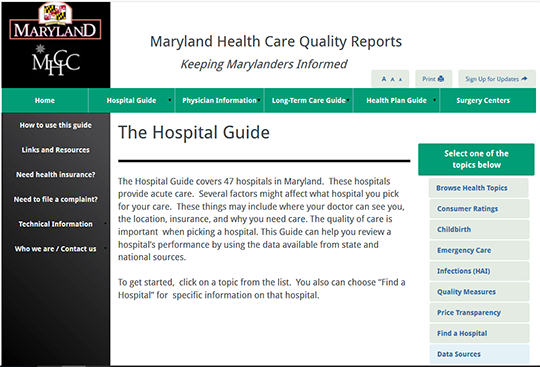 The Hospital Guide covers 47 general hospitals in Maryland providing acute care. The guide provides information on a hospital’s performance in relation to quality, cost, infections, patient experience and patient safety. Cost data includes price information on medical conditions treated statewide and by each of the hospitals. Available information includes the number of cases, the average charge (price) per case and the average length of stay in the hospital.